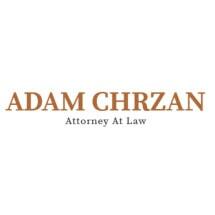 The office of Adam Chrzan, Attorney at Law, is located in Vero Beach, Florida. Criminal defense is the primary focus of my law firm, but I also provide services in personal injury and family law matters. Aggressive representation. Experience. Always On Your Side. What makes a great legal advocate? It is not someone who promises you the world when they cannot give it to you. It is not someone who sells you on expensive services that will never actually help your case. An excellent advocate is someone who will always stand firmly on your side, fight aggressively for your rights, and does so with integrity. My experience, which includes more than 125 jury trials, allows me to be the best advocate for you. When you are charged with a crime, I give you an honest assessment of your case. When you become my client, I analyze every piece of evidence and prepare a strong criminal defense ready to stand up to scrutiny at trial even if your case never goes that far. My focus as your lawyer is to instill in you confidence that your criminal, personal injury or family situation will get better because of my representation. I accomplish this by giving you detailed advice about the benefits and consequences of every option available to you, educating you about the laws that could impact your situation and remaining accessible at all times --- days, nights and weekends --- throughout our legal relationship. If you need assistance with a criminal defense, personal injury or family law matter, I encourage you to call Adam Chrzan, Attorney at Law, at 772-410-3722 and schedule your free initial consultation. I make myself available to clients on nights and weekends.